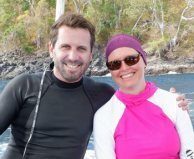 What a great opportunity this Philippines liveaboard snorkeling trip is! You and a small group of 15 snorkelers get to spend nearly a week traveling the Visayan Islands, in the Coral Triangle, aboard a beautiful 107 foot yacht. You will have a professional guide leading you on three to four snorkel sessions per day, to explore the super clear waters, abundant sea life, and great variety of the coral reefs of this lush ecosystem. 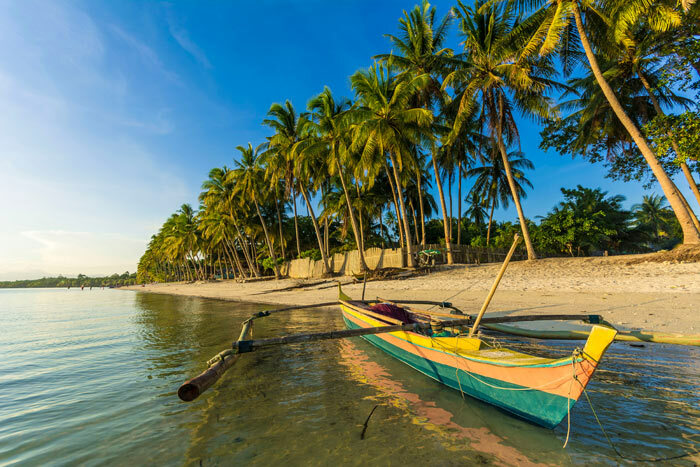 You will also have plenty of time to relax and enjoy the backdrop of the gorgeous Philippine islands, explore beaches, and take an optional land tour. 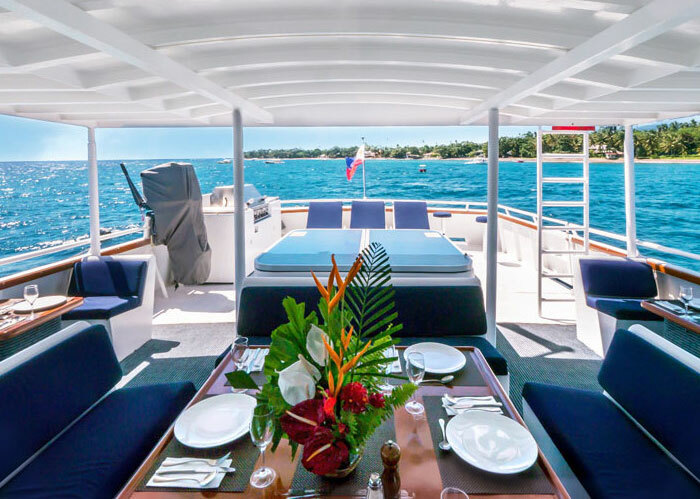 You will spend six nights aboard the yacht, and then end your trip with a relaxing day and night at the beautiful Atlantis Dumaguete Resort, lounging by the pool or on the beach. There are many options for extending your trip if you want. Enjoy seven wonderful days of adventure by liveaboard where each day will offer something different below the surface, and above. 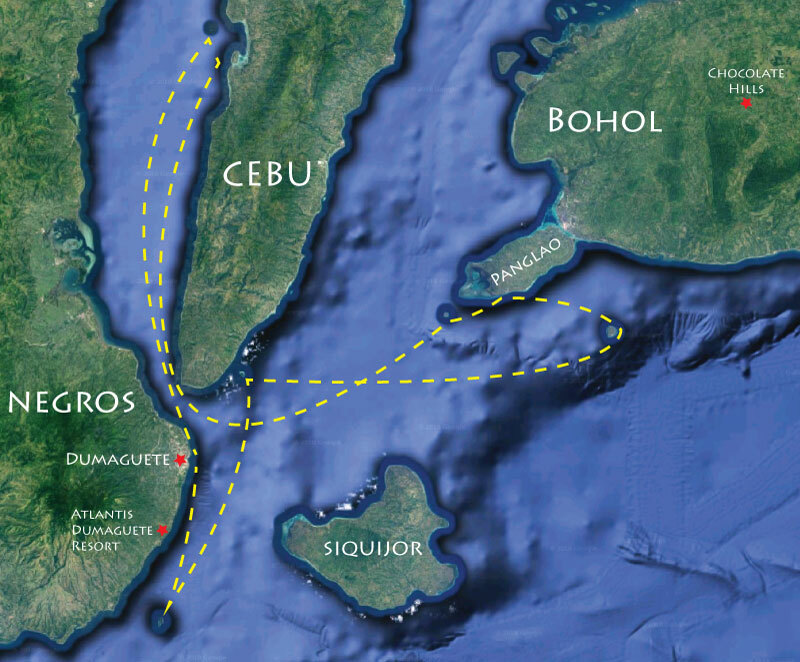 The cruise will visit four main regions, Moalboal, Bohol, Pamilacan Island, and Apo Island. 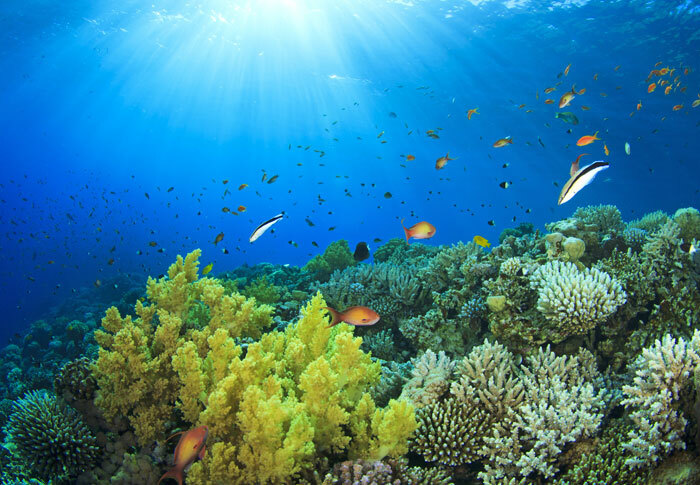 Each offers unique and different underwater topography, plunging walls to shallow coral gardens, pinnacles and sea mounts. 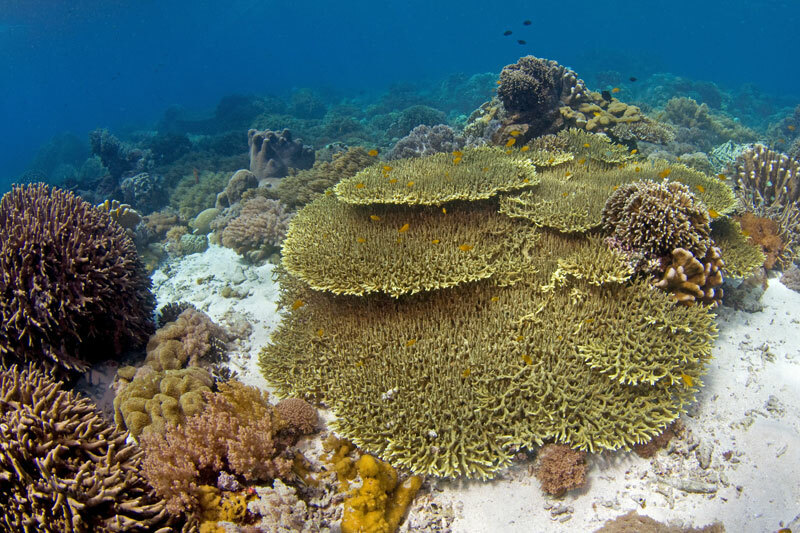 Much of the snorkeling will be enjoyed over shallow fringing reefs - expect healthy hard and soft coral gardens with plenty of turtles, potential for rays and sharks, and a high diversity of fish life. 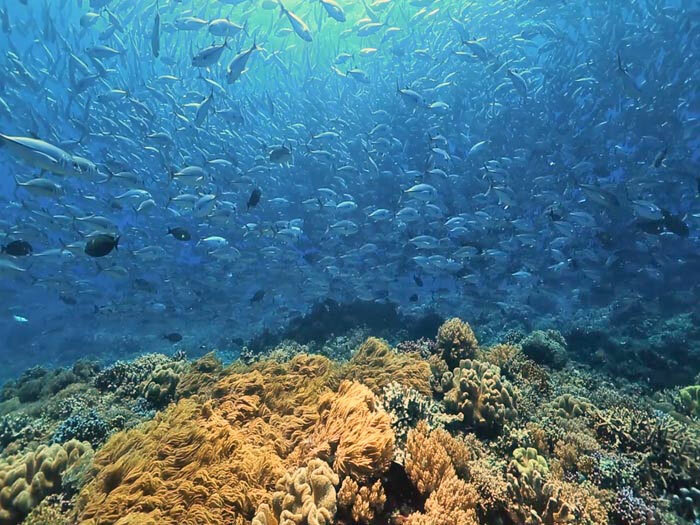 Conditions in the water should make for easy snorkeling with protection from neighboring islands and calm surface conditions - these locations are not prone to strong currents. On the third day you will have the option of doing an overland tour to see some interesting attractions on the island of Bohol, including the famous Chocolate Hills, a Butterfly Farm, and Hinagdanan Cave. Where Are the Visayan Islands? The Philippines are an island group in Southeast Asia. 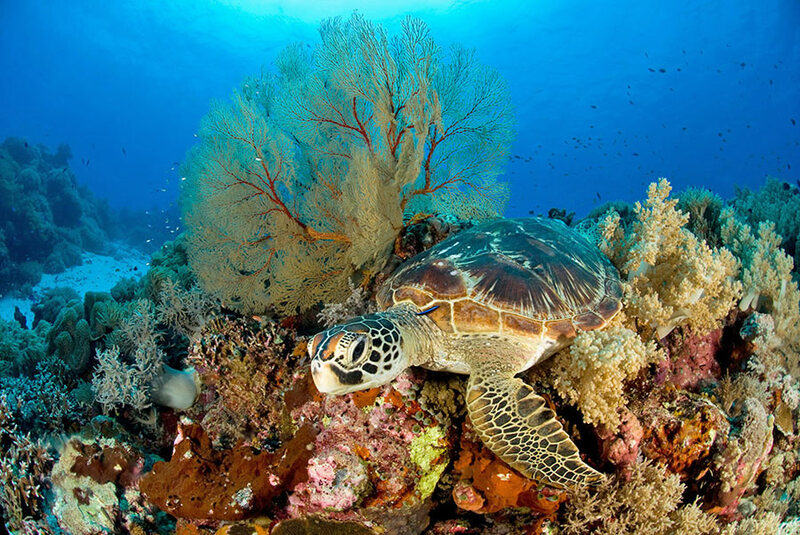 They are an important part of the Coral Triangle, a region known as the epicenter of marine biodiversity of the world. 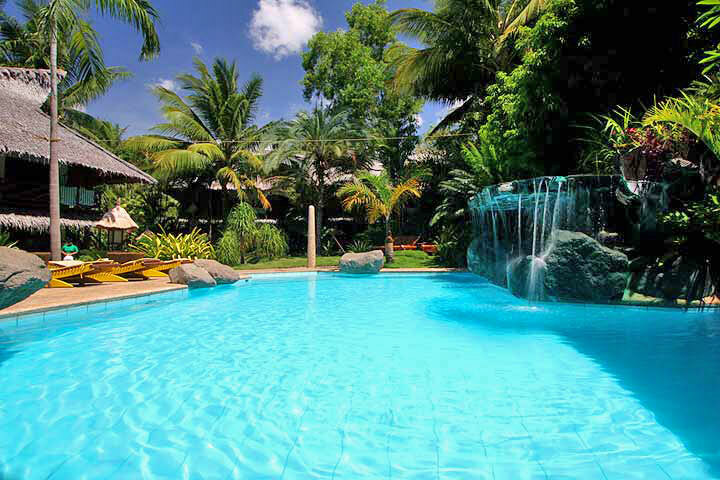 The Visayan Islands are a group of central Philippines islands, including Negros, Cebu & Bohol. International flights are readily available to the capital of the Philippines, Manila (MNL). From there you take a short interisland flight south to Dumaguete (DGT) where your trip begins and ends. 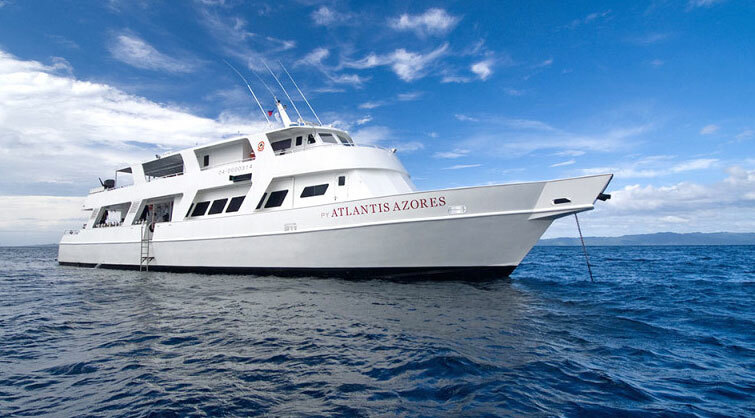 This unique itinerary created by the Atlantis Azores Liveaboard will take you to the best snorkeling available in the area. You will stay at each island or reef for one or two days before moving on to the next exciting location. Day 1 - After boarding, the ship will head north to Moalboal on the west side of Cebu Island. 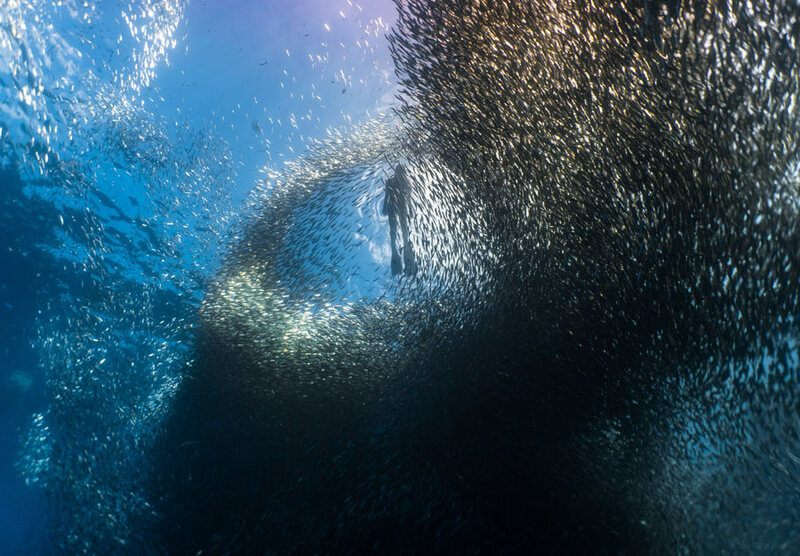 One of the highlights will be snorkeling with massive schools of sardines at Panagsama Reef while hunting trevally chase them. 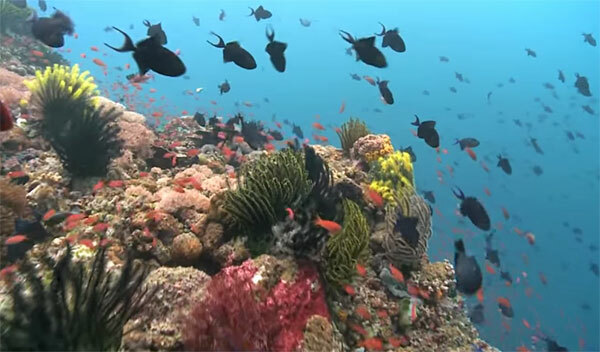 At Pescador Island you will see the ancient and massive coral reefs as they plunge into the depths all around this tiny underwater mountain island. 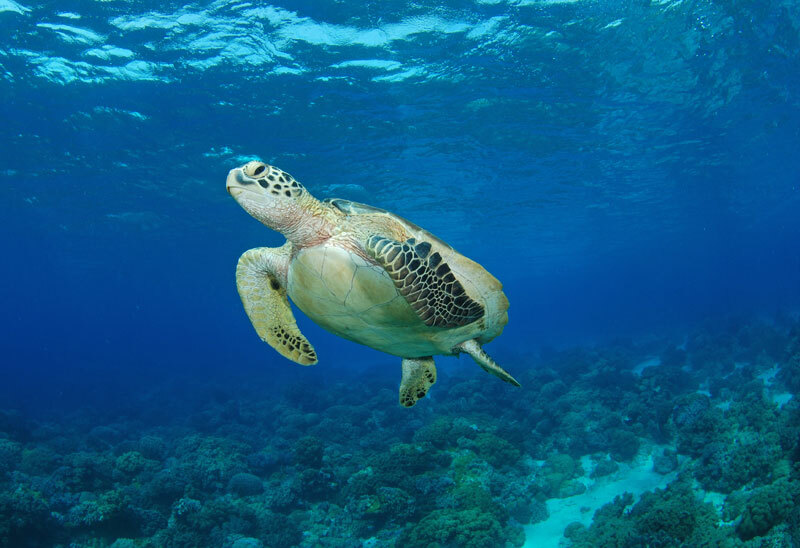 Sightings of reef sharks, clownfish, and turtles are common at these destinations. 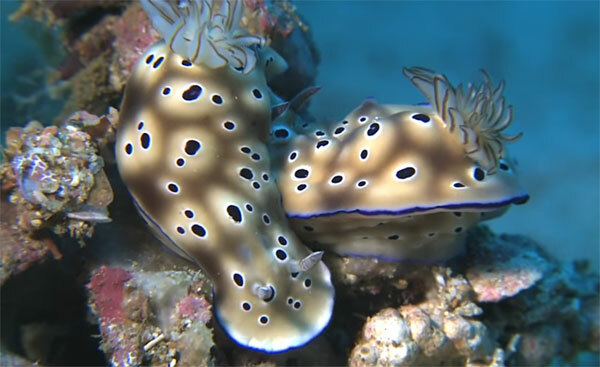 Days 2 & 3 - Next stop is Alona Beach on the island of Panglao, for its abundance of tropical fish, large coral formations, frogfish, and dolphin sightings. Just off shore of Panglao is Balicasag Island, which is a 400 meter Marine Sanctuary. The island has a shallow fringing reef around it, that plunges into deeper water and is frequented by pelagics, jacks and mackerels. 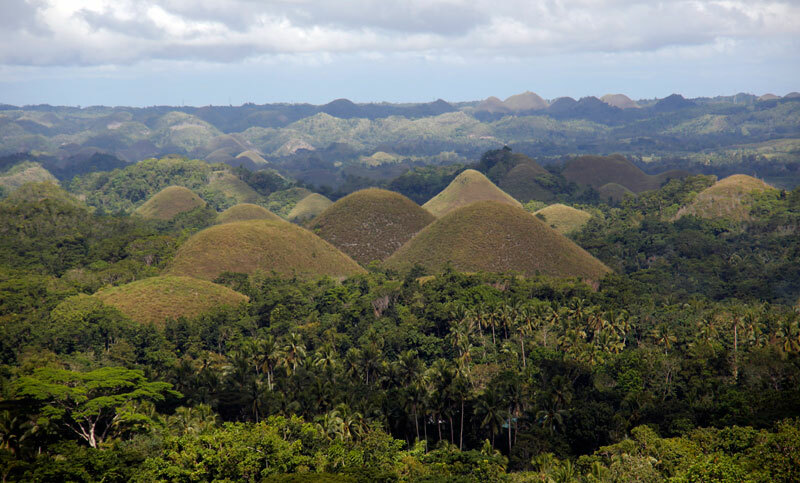 An optional land tour to see the Chocolate Hills and other attractions on Bohol Island will be available on Day 3. Day 4 - Pamilacan Island - This small island is home to about 240 families with a history of subsistence fishing, that have transitioned to prioritizing the health of the waters that support their lifestyle, and now also offer many tourism services. The island's healthy reefs are full of turtles, anemone, nudibranchs, jacks, sardines, and an abundance of other sea life. You will enjoy powder white beaches here and an island tour by community members. Day 5 - Tiny Sumilon Island was the very first marine sanctuary in the Philippines, created in 1974, and it has the lush healthy reefs with copious amounts of schooling fish to show for that protection. You will enjoy a BBQ dinner on a stunning beach here. Day 6 - Next you will visit Apo Island, a marine preserve and no-take-zone for 35 years. 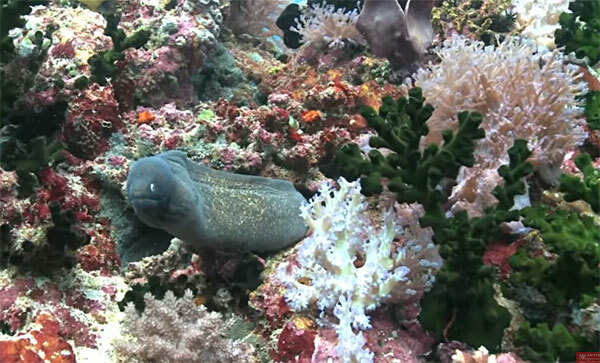 The large colorful reefs are very healthy and full of sea life. Expect to see lots of nudibranchs, and green and hawksbill turtles, schooling jacks, trevally and barracuda. Day 7 - The boat will head back to Dumaguete and you will be transfered to the Atlantis Dumaguete Resort, for some enjoyable moments of relaxation at the pool or on the beach. Day 8 - It's time to head back to Manila to fly home. But Ben's team can help you extend your trip in the Philippines, with many travel extension options. 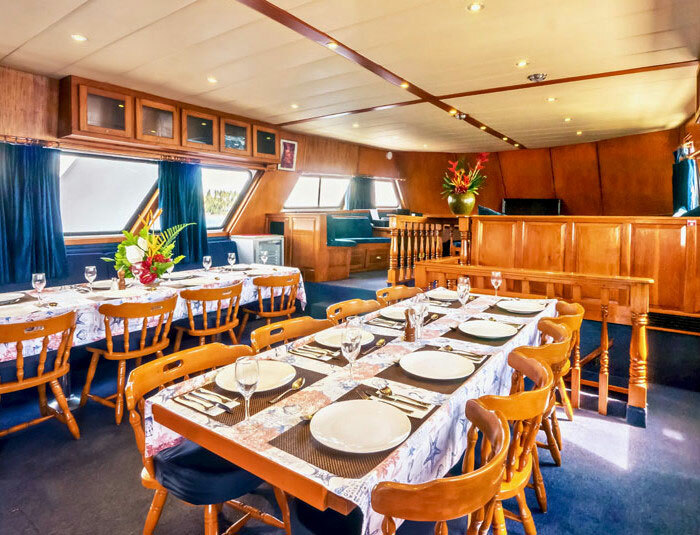 The 107 foot Atlantis Azores yacht is a world-class liveaboard complete with eight cabins which come equipped with private bathrooms, showers, and air conditioning. All meals are included, and are freshly prepared. There are snacks and drinks always available. Dietary restrictions (vegan, gluten free, etc.) can be accommodated. And all drinks are included, with social servings of beer, wine, and rum. You may also bring your own beverages with no corkage fee. 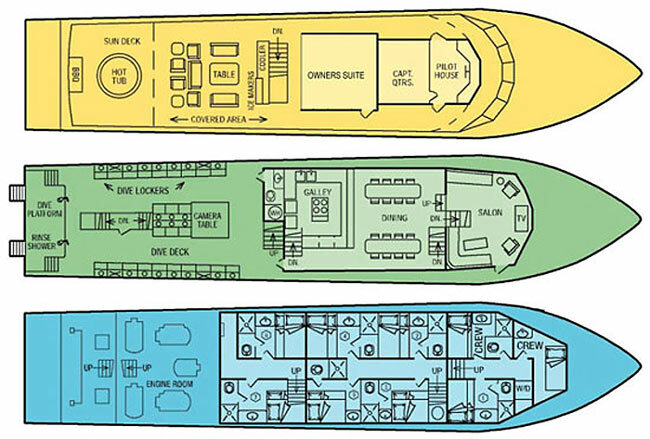 As well as a spacious lounge, the ship has a large sun deck, bar, grill and hot tub. Some evenings there will be marine life presentations, and there are fish ID reference books and novels in the library. There is a spacious dive deck for storing your snorkel gear, as well as a camera room. 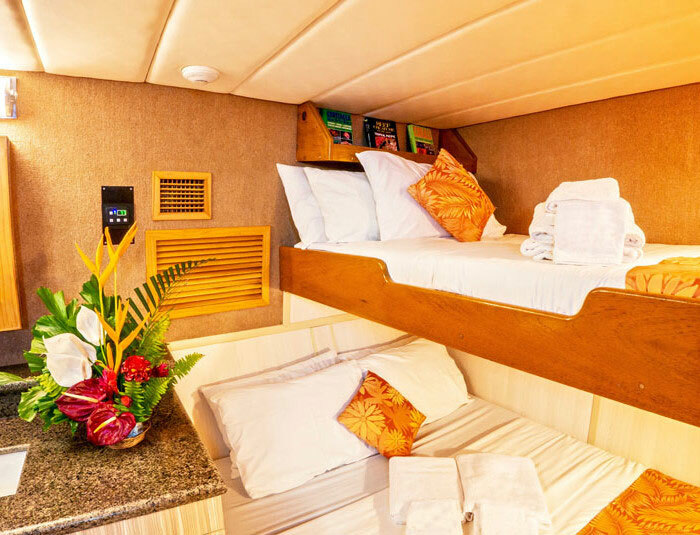 Most snorkeling will be done from two zodiac tender boats with a short ride to the sites, and there are hot showers for rinsing off on the rear deck of the main boat when you return. July 20-27, 2020 - Available. There is a single Owner's Suite available for an additional $990 US per person.